Grow Music is a music therapy practice in Poughkeepsie, New York dedicated to helping children of all abilities grow through musical experiences. As a board certified music therapist, Tina uses music as a tool to help children build skills in a fun and engaging environment. Music therapy uses music as a tool to build skills and understanding. 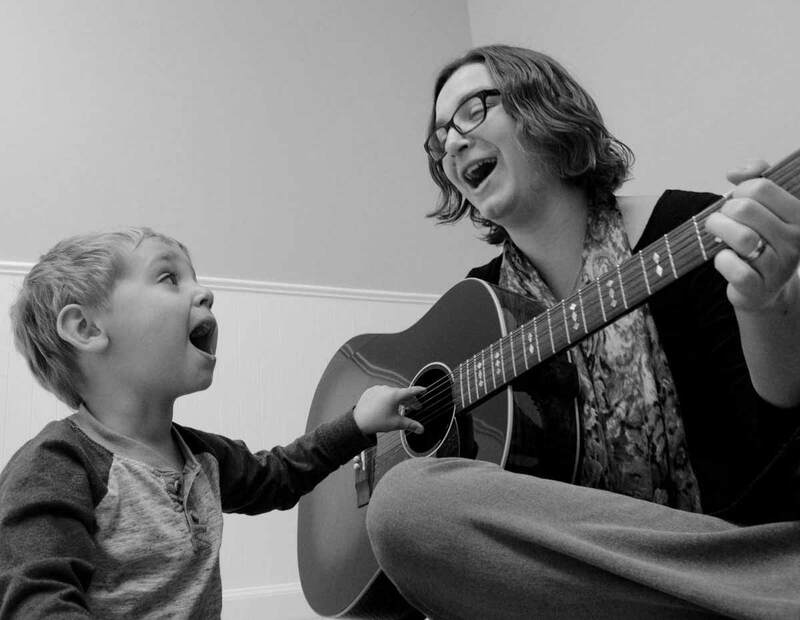 Board certified music therapists develop musical experiences to assist with areas of need in a developmentally appropriate and enjoyable way. Music therapy can also help to support typical development and build on children’s strengths in conjunction with the efforts of parents, teachers, and other allied healthcare providers. Building understanding of general concepts (such as shapes, colors, numbers, or money). Music therapy services must be provided by a board certified music therapist (MT-BC). This includes the completion of a bachelor’s degree or higher in music therapy from a program approved by the American Music Therapy Association. In addition to coursework, a music therapy student must complete 1200 hours of clinical training, including a supervised internship. After completing these requirements, the student is eligible to sit for the national board certification exam to obtain the MT-BC credential. Music therapists must also fulfill continuing education requirements in order to maintain board certification status. One-on-one music therapy sessions are provided at least once per week for 45 or 60 minutes. Through an assessment process, a child’s strengths and areas of need are identified. The music therapist develops personalized experiences for each client, using music to motivate and engage them. These experiences are used to work on the child’s non-musical goals. Based on each child’s needs and preferences, musical experiences may include singing, dancing, playing a wide variety of instruments, songwriting, improvisation, and more! Multi-sensory musical experiences may also incorporate the use of scarves, beanbags, bubbles, puppets, and other props. Music therapists can collaborate with teachers and other therapists to further build skills. This includes classroom teachers, OTs, SLPs, PTs, ABA therapists, etc. Grow Music groups are available to families, schools, and community organizations. These groups help support children’s development through collaborative musical experiences. Many groups focus on the development of social skills such as sharing, taking turns, teamwork, group problem solving, etc. Sibling sessions are also available, with an emphasis placed on positive and successful sibling interactions. Specialized groups can be developed. Contact Tina for more information. Tina is available to consult with families, teachers, schools, and other professionals in order to develop individualized musical supports for a given situation, theme, person, or classroom. This service can include the creation of original songs and materials, such as audio recordings, visual aides, instructions for implementation, etc. Tina is also available to share her expertise through speaking engagements, such as inservices or workshops. These can be about the professional as a whole or about music therapist’s work within certain settings or with certain populations. All speaking engagements will include demonstrations of relevant musical experiences that a music therapist could use to address a client’s goals. Tina de Leeuw, MS, MT-BC is the owner of Grow Music. Tina is a nationally board certified music therapist. She holds bachelor degrees in music therapy and music education (K-12) from Duquesne University and a masters degree in music therapy from SUNY New Paltz. Her undergraduate studies also included a psychology minor. Tina completed a seven-month music therapy internship at Wesley Spectrum in Pittsburgh, Pennsylvania. During this time, she provided individual and group music therapy services to children and teens with autism and other developmental disabilities. As part of her graduate work, she developed and implemented a pilot music therapy program at Vassar College’s Wimpfheimer Nursery School. Prior to establishing Grow Music, Tina worked for six years with Fogerty Music Therapy in Bloomington, Indiana. She provided individual and group music therapy services to a wide range of clients from infants through memory care units in assisted living facilities. In addition to her work with clients, she served as the company’s Assistant Director. This role included management and marketing tasks, as well as supervision of the company’s other music therapists. We both are thankful to have had you in our lives. She has incredible intuition in working with people with disabilities. Music therapy has proved to be beneficial to many different people working through different problems and in different areas of life. As a service, it is time spent 1:1 with a goal-specific outcome. Some of the goals are learning stress reduction techniques, while others are more simply maintaining eye contact during a session. With the option to make the goals individualized, it is beneficial to many different people in many different areas of life. Music therapy goals can also be utilized in other services. These situations help the clients learn to apply the goals to different areas in life. An example would be with music used for counting, and then counting to ten used as a stress reduction technique, or in identifying time to think before speaking. Contact Tina to learn more about music therapy and Grow Music services.